Ford announced today it's investing $1 billion over the next five years in an artificial intelligence (AI) startup founded by former Google and Uber employees to further the development of autonomous vehicle technology. The massive investment will make Ford the majority stakeholder in Argo AI, but the automaker said the software company has been structured to operate with "substantial independence." 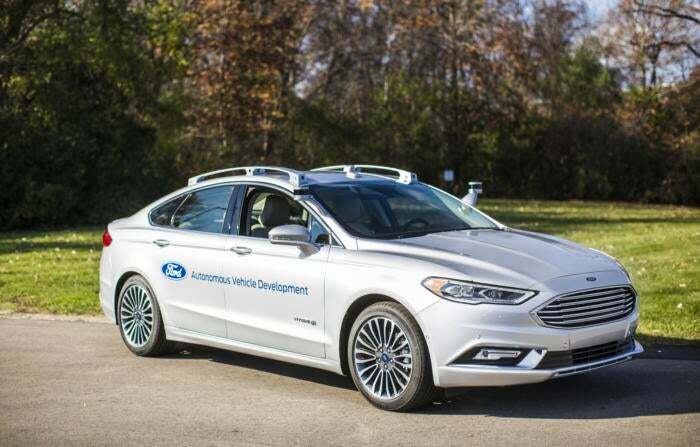 Ford said its relationship with Argo AI, which was founded last year in Pittsburgh, will combine its existing autonomous vehicle development program with Argo AI's robotics and "startup speed" on artificial intelligence software. Argo AI founders CEO Bryan Salesky, and COO Peter Rander are alumni of Carnegie Mellon National Robotics Engineering Center and former leaders on the self-driving car teams of Google and Uber, respectively. Argo AI's team will include roboticists and engineers from inside and outside of Ford working to develop a new software platform for Ford's fully autonomous vehicle, expected in 2021. Ford said it could also license the software to other carmakers. Ford’s model is similar to what was announced a few months earlier by Volvo and Autoliv (a huge auto supplier) to develop autonomous vehicle software that would be used by Volvo but also sold to other companies, according to Michael Ramsey, a research director at Gartner. "In the end, the car companies don’t want to license anything from another company unless they have to. In a few years, there’s going to be some big consolidation because there are more makers than buyers," Ramsey said. Ford's acquisition of Argo AI should be viewed more of as an organizational structure move and not an investment in this company. "The company and its leaders have been acquired to run Ford’s driver-control module for autonomous vehicles. The investment is plugged in over five years, and designed to give an equity reward to employees," Ramsey stated in an email to Computerworld. "Ford is trying to create a system where they can effectively hire top talent and reward it, outside of the bureaucracy that exists inside the company. It shouldn’t be seen as a $1 billion gift to two guys." The current team developing Ford’s virtual driver system – the machine-learning software that acts as the brain of autonomous vehicles – will be combined with the robotics talent and expertise of Argo AI. This partnership, Ford said, will work to deliver the virtual driver system for Ford’s SAE level 4 self-driving vehicles. The Society of Automotive Engineers (SAE) International, a U.S.-based industry standards organization, has established six autonomous driving categories where Level 0 represents no automation and Level 5 is a fully autonomous vehicle that controls all aspects of driving previously performed by humans. While Ford already has a substantial in-house autonomous vehicle program, Ramsey said the carmaker needs leadership and the ability to attract and retain more talent. "Argo will act somewhat independently and hopefully be able to ramp up talent," Ramsey said. Ford will become a majority stakeholder in Argo, and John Casesa, Ford's group vice president of global strategy, and Raj Nair, the automaker's product chief and chief technical officer, will sit on Argo's five-person board. By the end of this year, Argo will have offices in southeastern Michigan and California, according to Ford, along with its Pittsburgh headquarters. It will employ more than 200 workers at those three sites combined. Last year, Ford purchased Chariot, a San Francisco-based on-demand shuttle service, which also operates in Austin, Texas and is planning to expand to eight other cities. Another subsidiary created last March, Ford Smart Mobility LLC, will take the lead on the commercialization of Ford's self-driving vehicles, which includes options for using autonomous vehicles to move goods and people, such as ride sharing, ride hailing or package delivery fleets. Ford Smart Mobility also purchased Chariot, a San Francisco-based on-demand shuttle service, which also operates in Austin, Texas and is planning to expand to eight other cities. "The next decade will be defined by the automation of the automobile, and autonomous vehicles will have as significant an impact on society as Ford's moving assembly line did 100 years ago," Ford CEO Mark Fields said in a statement. "As Ford expands to be an auto and a mobility company, we believe that investing in Argo AI will create significant value for our shareholders by strengthening Ford's leadership in bringing self-driving vehicles to market in the near term." A Ford self-driving prototype being tested at the University of Michigan's Mcity prvoing grounds. Software is the key differentiator in the functionality of semi-autonomous and fully autonomous vehicles. The average vehicle today has about 50 computer processors that control everything from engine control units (ECUs) to Advanced Driver Assistance Systems (ADAS) such as parking assist and adaptive cruise control. ADAS and fully autonomous vehicle technology are the sweet spots for Silicon Valley software developers, whose code can tie together the myriad cameras and sensors needed for a car to drive itself. Ford has already made significant investments in autonomous driving technology, including opening an R&D center in the heart of Silicon Valley. Ford is only one in a long list of carmakers that have invested in the area. Since 2011, BMW, Honda, Hyundai, Mercedes-Benz, Nissan-Renault and Toyota have all opened R&D centers in Silicon Valley. Automakers who've set up shop or invested in Silicon Valley software companies to develop self-driving car technology. Not only are the companies opening up R&D facilities, they're also recruiting rock star security and system engineers from the mecca of computer development, Jon Allen, a principal at management and tech consulting service Booz Allen Hamilton, said in an earlier interview with Computerworld. GM opened its Advanced Technology Silicon Valley Office in Palo Alto to develop an HTML browser for its Cadillac CUE in-vehicle infotainment (IVI) system. "This isn't your grandfather's automotive company any more. The [car makers] are moving away from simply being hardware manufacturers to becoming software developers," Allen said. "Fundamentally, the auto industry cannot be seen as just automakers any more. They're mobile developers." This story, "Ford to invest $1B in AI startup toward self-driving cars" was originally published by Computerworld.